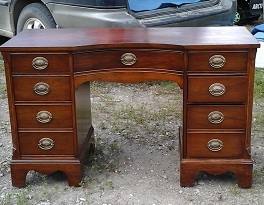 She was a nice sturdy desk, but had quite a few nicks and scratches and was a bit faded looking. Thank you so much Tammy!!! Working on these pieces is really as much of a thrill and honor for me as much as anything else. They are so beautiful and it really is not a huge chore to make them pretty again. Beautiful ! I don't have a problem painting furniture, but this beauty didn't need it -- just lovely. You did a great job. That truly is beautiful piece of furniture. That type of furniture was made to last, you did wonderful work on it, made it look new for more life ahead of it. Some pieces are just not meant to be painted, covering up that beautiful wood is a shame. Love hardware on it. How lucky that lady (above comment) has that gorgeous bedroom set. Whomever inherits that will be very lucky. Be glad you did such caring job on that desk, a job to be proud of. Our daughter found a dining set with 6 chairs few years ago at our local thrift store for $30. Her hubs gel stained it and it's a true gem now.It looks so beautiful, love when we have meal there we sit at that table. Daughter recovered chairs. 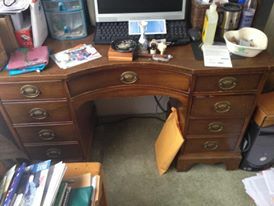 She found a buffet/hutch in same stain at furniture store that got rid of broken pieces for $200. You should see it now. Between their hutch and dining set their dining room looks fantastic.Nobody else will have dining set like theirs. Gel stain is fantastic. 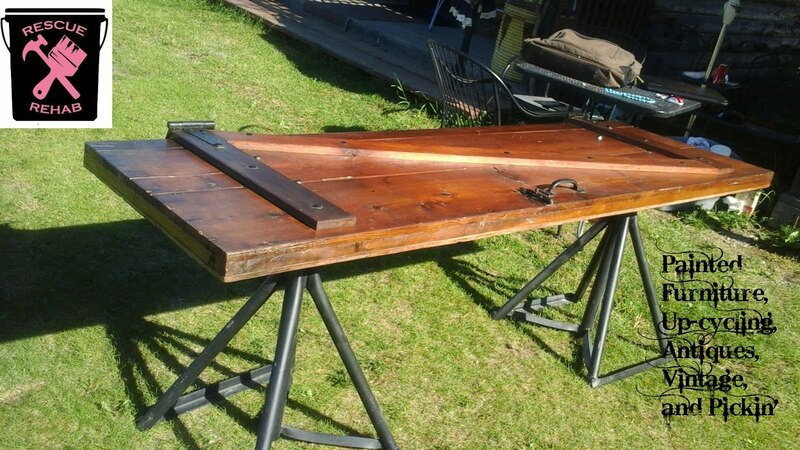 We gave them an English oak wash stand and he gel stained that also. Wish I had it back but can't do that, nice to visit it occasionally. We bought it down in South Bay of San Diego many years ago from an importer. Thank you!! I really like painted furniture too, but there is something about the mahogany that I really love! I have had really good luck with the gel stain and been very happy with it. Thanks for stopping by! You saved her, Marti!! What a beautiful transformation--you have awesome skills :) Thanks so much for linking her up at Vintage Charm. Thank you so much Diana. I think these mahogany pieces are my favorite things to work on!